GtkMonitor is a UNIX GUI application for controlling and monitoring the Synchronet terminal server with built-in chat, user editor, configuration, and other conveniences for the Synchronet sysop. 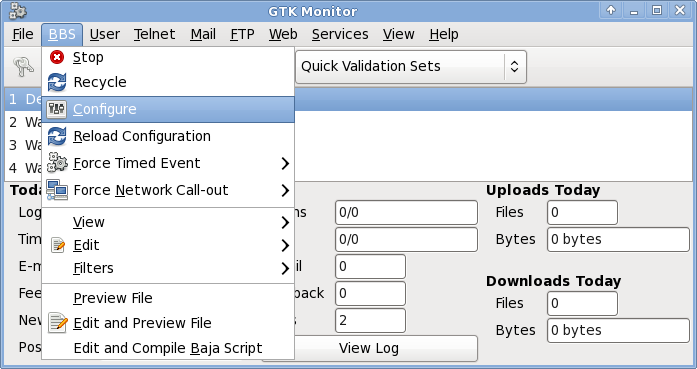 GtkMonitor is a native executable program. And edit the various text files, INI files, CFG files, and filter files used by Synchronet. 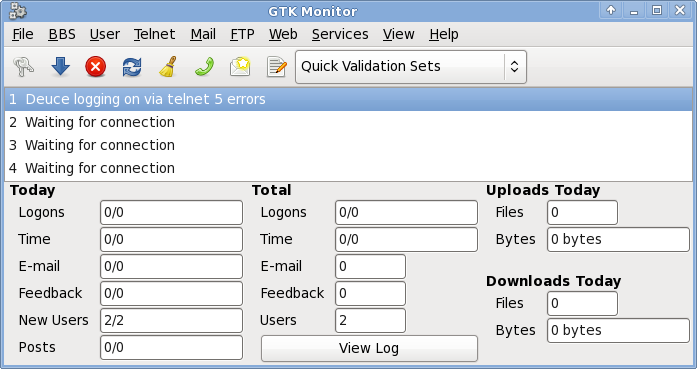 The GtkMonitor configuration settings are stored in the ctrl/gtkmonitor.ini file. The utilities for viewing and editing various file types are sysop configurable via the File→Customize menu. GtkMonitor may also be used to edit the Synchronet BBS text.dat file and menu files.